We use You and Customer to refer to yourself. A rolling Monthly contract paid in advance of each month. 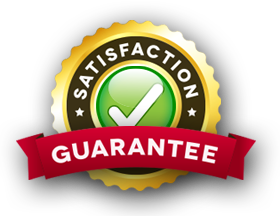 See our Satisfaction Guarantee below. We will provide a private telecommunications service through the provision of a SIM card that allows access to the ParentShield Portal system and onwards to the PSTN ( Public Switched Telephone Network ). This is a private and personal product designed for the protection of Children or vulnerable user groups and may not be resold under any circumstances. Billing will be made in advance at the start of each monthly period from the authorised payment card. You are responsible for these costs even if the mobile device or password is lost, damaged or stolen. The subscription is due regardless of whether the mobile phone is used or not. For the Family Plan and Safe Plan products, You agree to a rolling monthly contract with continuous service, we will continue to charge the Monthly cost as agreed each month until You terminate the rolling monthly agreement with 30 days notice. You can do this by telephone, email, or letter. If You're using the Family Plan or Safe Plan product & wish to upgrade to the next plan, you can upgrade by emailing us at hello@parentshield.co.uk or by using the upgrade link in the Portal. Monthly billing will increase to the higher level from the start of the next month. All billing is monthly from the account activation date. Should payment be outstanding We reserve the right to suspend services until payment is up to date. We will provide a private portal for each Customer that allows access to each SIM card's activity and provides security controls for that SIM. While We will always do our best, telecommunications involves many links between providers and We cannot guarantee that our service will not suffer the same disruptions and outages that affect any telecoms provider. We promise to do our best to remedy any fault in our control as quickly as possible. The ParentShield Network is a Special Mobile Phone Network for Child Protection and for the protection of Vulnerable People. The powerful recording, monitoring and control facilities make it necessary for us to take some extra steps - such as identifying the age of the SIM user and the application of heuristics to identify non-compliant usage. It is the Subscriber's responsibility to inform respondents when passing them the mobile Number that their calls may be monitored or recorded. There is a website: www.advancedmobile.co.uk which explains the Service and contacts may be directed there for information. First-time callers into the Network can be prompted to visit at that website. Numbers provided for home contact may be UK National Geographic or UK-mainland 07 Mobile numbers. Calls to non-mainland mobile numbers issued by carriers in Jersey, Guernsey and the Isle of Man will be charged at the normal tariff rate. The un-billed calls will apply to the numbers set in the Customer Portal at the point of Billing Month End. All calls to numbers that may have been set in the portal will be billed as per the normal rate. The ParentShield system is designed for parental or guardian control and protection of vulnerable persons. It must not be used for any other purpose and it is Your responsibility to secure your own data through the selection and protection of a good secure password. We recommend a random password of 15 characters or more that includes letters, numbers and punctuation. You should change this password regularly and use it only for your ParentShield Portal. It must not be disclosed to anyone. We will never ask you for this password either. If You believe there is any possibility that it has been compromised then You should change it immediately. We cannot accept any responsibility for the security of information beyond our control. If there is any private information that you do not want to keep stored on the Portal, then it should be deleted securely, or downloaded for your own safekeeping. Caller-ID from an ParentShield SIM can not be disabled. This is deliberate. If you want to make anonymous telephone calls, then you should use an alternative method! Users should be informed that their mobile phone cannot be used to make anonymous or prank calls. You can specify in the Portal whether or not the SIM should accept anonymous calls from elsewhere. We shall accept that You have provided true and accurate contact information and payment information. We take this on trust but reserve the right to terminate this agreement should we believe this trust has been abused. See Cancellation or Termination below. Cancellation of contract can be done by email, telephone or letter. All phone calls may be recorded. We will ask you to provide the secret answer that you can specify in your online portal, for verification purposes. If you are not delighted with our Service, our Network Coverage, or the advanced ParentShield controls - you may cancel your account at the end of any month. In the case of Cancellation or Termination as set out above we consider it your responsibility to pay for any services or calls or data provision used, plus any collection costs if necessary. We will not be responsible for any loss, damage or harm from the use of our service beyond your statutory rights. We cannot be responsible for the loss, destruction, or damage of any information stored. Any sensitive information should be destroyed immediately by you as a precaution. We can not be responsible for provision of services that are affected due to wars, terrorism, natural disasters or anything out of our control. We reserve the right to make changes to the service or the Agreements and other documents. If We feel there is a change that materially changes our Agreement we'll email you, or post a notice in the Portal to let you know, with as much notice as possible. If you don't like the change then you may refer to Cancellation or Termination above.